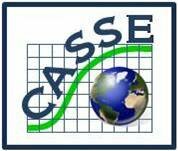 The mission of the Center for Advancement of the Steady State Economy (CASSE) is to advance the steady state economy, with stabilized population and consumption, as a policy goal with widespread public support. The CASSE position on economic growth (below) was carefully crafted after years of study. It has been sanctioned by many leaders in sustainability science. The position is important for demonstrating widespread understanding of the conflict between economic growth and environmental protection. The more we can demonstrate such understanding, the more viable the steady state economy becomes in policy discussions. This page was last modified 12:47, 29 April 2009.